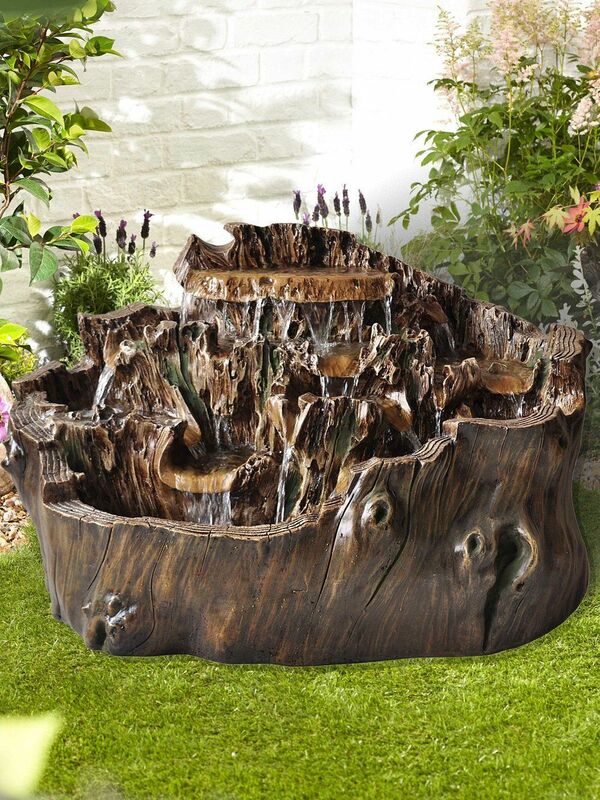 The Walnut Cascade with LED lights Water Feature is a new and natural looking tree stump effect water feature. With its intricate detail and paint finish, it is made from durable high quality polyresin. This will last for years to come. It is low maintenance and fully contained, also easy to install. 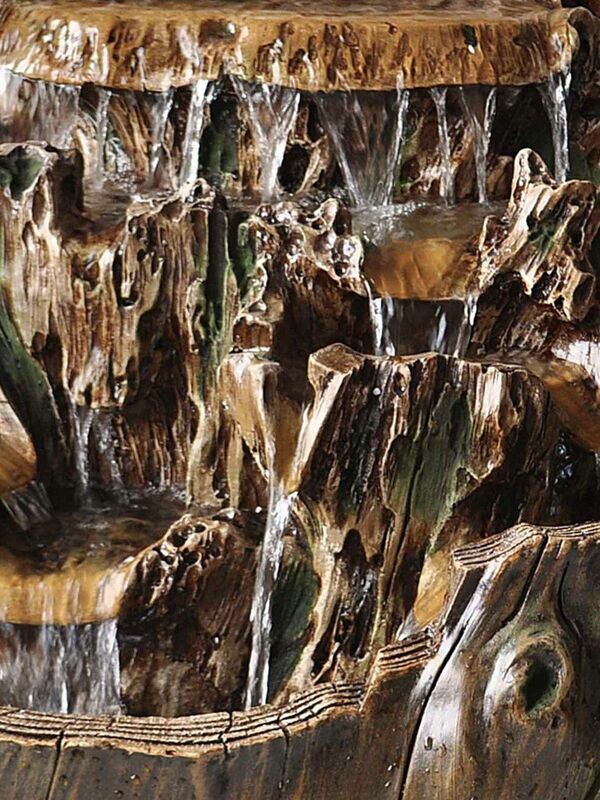 The water will trickle and gently flow from the LED lit spills to be enjoyed by all. You can also purchase a Medium cover to protect your Walnut Cascade for longer.